I get this message when I try to lauch the Hex General Release. See attached for error message and my Mac version. I was expecting improved stability, after so many time without updates and... just opening and closing the program makes it crash!!! People were reporting improved stability with the beta, and not (at least in public) reporting issues - that's why that version was promoted to a general release. If you are seeing crashes please report them to Daz, via a support ticket. I would avoid making assumptions about what Daz does or doesn't do for testing in general - though i dos eem to recall references to unit testing in the DS change logs at least. That sounds like a bad file in the application or itss ettings. Remember that the new release version is the beta, just with new locations for the application and settings - if something was wrong with the folders (e.g. permissions) or files that aren't repalced by the update (e.g. settings) then that might well trigger different behaviours. XML errors? That's some bad installs there. Make sure you're not installing over an existing 2.5 from years ago. I see a weird trail of the brush and that makes working with the brush impossible. I have attached a screen how it looks. Anybody an idea what this is? I did not change any settings since the update and I hadn't the problem before. No hardware changes as well. Turn off the redraw or fastdraw? In display setting. The Public beta and the release are the same, so any diffrences in stability are down to: settings, if they differ between the two; corrupt file,remember that even if you installed to a different application folder the settings may still be left-overs; folder settings in the OS; security software or other low-level tools treating the two differently. Comparing their settings is the obvious place to start. The whole point of a public beta is to have the application used on a variety of machines, in a variety of workflows, to catch issues that wouldn't be caught in the more circumscribed internal or private testing. In order for that work people do need to report the issues they find. It's true that Hexagon has quite a few settings, but if you would take the time to compare the two versions and see if there's a difference, clearing which resolves the crashing, and then report your findings you would be doing both your future self and your fellow users a service. Any Ideas what this issue is all about? Still can't launch the General Release. Do you get the same issue with the Beta version, or do you only have the General Release version installed? I have already filled out a help ticket, but was wondering if anyone else was having issues with the "Set Pivot Point" tool in the Hexagon 2.5.2.109, General Release? I do not see the highlight "snap" feedback for new pivot placement. And when I click a point, edge, or even polygon the pivot always seems to end up behind the object. If grid snap is activated the pivot always ends up on the Y grid. 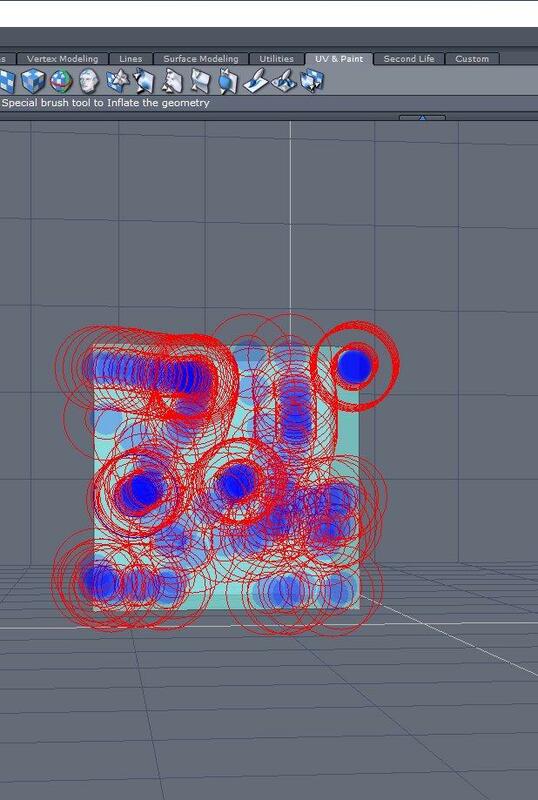 So basically, the pivot tool seems to be ignoring all scene geometry. Only with the General Release. As far as I can tell, the Set Pivot Point function has never worked properly (at least not in the Mac version). The previous version (2.5.1.79) has the same issue. It seems like I've been able to make it work on rare occasions, but haven't figured out what, if anything, I did to make it work. Pivoting has been working fine for me in Windows 10 Pro 64-bit using the x86 version of the latest Hexagon release. Even works on grouped objects. I just installed the lastest release of Hexagon from scratch on a Windows 10 computer. It grabbed the Microsoft Visual C++ Redist files during its install, and everything. No issues with running it. The XML editor on this machine is Notepad++. But that shouldn't matter. I had those XML error first too, then uninstalled everything, also removed left overs manually, made a clean install, and now no XML errors. Did you un-install Hexagon 2.5 using DIM? Or did you use the Program Control Panel to remove it? I been using DIM to do all my un-installing and installing of DAZ apps. Works great. My DAZ Library is in a roaming profile on my system. I log in as the user that Hexagon is installed for. I used DIM to do all the work, usually do that. I had XML errors , then I uninstalled over programs in system settings and also DIM and reinstalled using DIM, then it worked fine. I deleted the profile directory too before that (also located here in the Roaming folder under Users). I'll try your approach and thanks. Roaming folder? What and where is this? I am a Mac guy! Thanks though. It might be High Sierra related. Unfortunately I can't check that, as I'm sticking with Yosemite for the time being. I'll see if I can find out more from other people. Nah works on my laptop using High Sierra.